A cool new find from the Sen. Daniel Inouye audio/visual collection! If you like antiques we have a new addition at ʻUluʻulu – the Gray Audograph. It was a dictation format introduced in 1945. It recorded sound by pressing grooves into soft vinyl discs. This early dictaphone is most famous for capturing sounds recorded at the time of the John F. Kennedy assassination that were reviewed by the United States House Select Committee on Assassinations. This one you see here was used by the Senator in his early political career. We have a few of these blue discs and hope to retrieve the audio from this “dead media”. A challenging effort but that’s what we are here for! Is there anyone out there that has one of these machines? 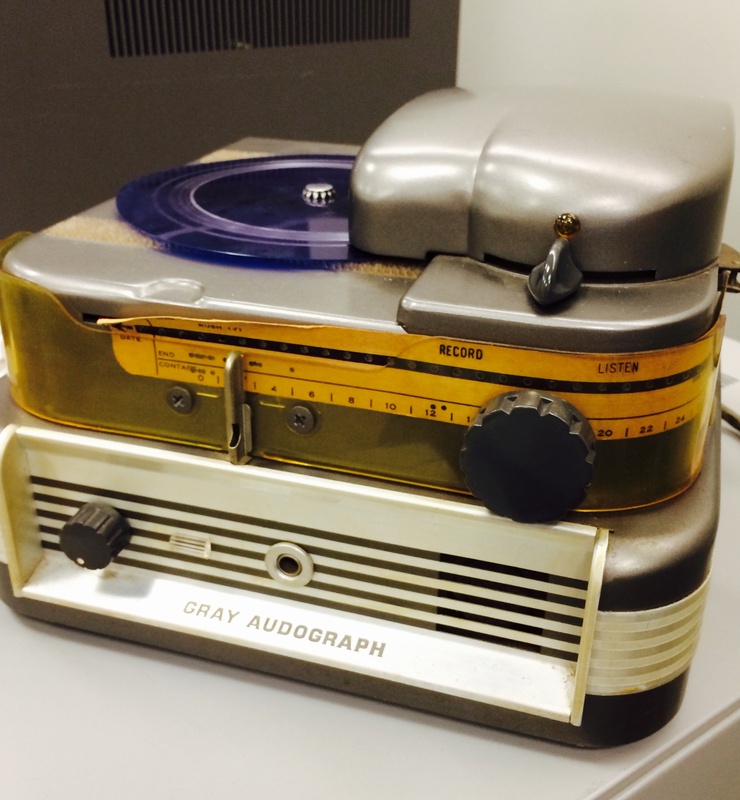 Gray Audograph (circa 1950’s) from the Daniel K. Inouye Congressional Collection.